American producers harvested more dry peas but fewer lentils this past year than originally estimated. 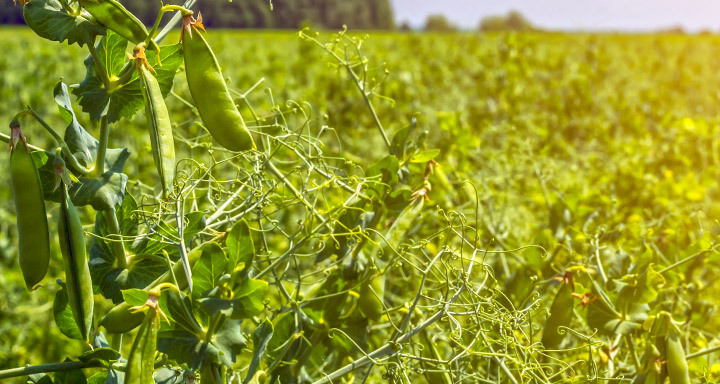 The USDA’s 2018 production summary, released on Friday, pegged the 2018 American dry pea crop at 722,530 tonnes, up from the government agency’s previous estimate of 629,310 tonnes and 12.3% above the 2017 crop of just over 643,000 tonnes. On the other hand, lentil output is now estimated at 381,380 tonnes, down from 398,570 tonnes for the previous estimate although still up 12% from the 2017 crop of 339,380 tonnes. For dry peas, 2018 American planted area, at 856,500 acres, and harvested area, at 807,900 acres, decreased by 24% and 23%, respectively, from a year earlier. However, the average U.S. yield, at 1,972 lbs/acre, was up 622 lbs from the previous year’s drought-reduced crop. Similarly, U.S. lentil planted area, at 780,000 acres, was down 29% from a year earlier, while harvested acreage, at 718,000 acres, was down 30% from 2017. Despite these declining acres in 2018, both planted and harvested acreage were at the third highest level on record. Meanwhile, the average lentil yield was 1,171 lbs/acre, up 439 lbs from last season’s record low. Like dry peas, the 2018 U.S. sunflower crop was also revised higher from the previous estimate, up to 959,990 tonnes from 877,690 but still below the 2017 crop of 977,610. U.S. production of oil-type sunflower varieties increased 3% on the year, while output of non-oil sunflower varieties plummeted 24% from 2017. In its first estimate of the 2018 crop, the USDA pegged American flax output at 113,440 tonnes, an increase of 16% from a year earlier despite the fact harvested area was down 27%. The average U.S. flax yield for 2018, at 22.6 bu/acre, was up 8.5 bu from 2017, while the average yield in the leading flax production state of North Dakota was a record high of 24 bu/acre. Estimated U.S. chickpea output for 2018 was pegged at 577,970 tonnes, way up from 313,210 tonnes the previous year.